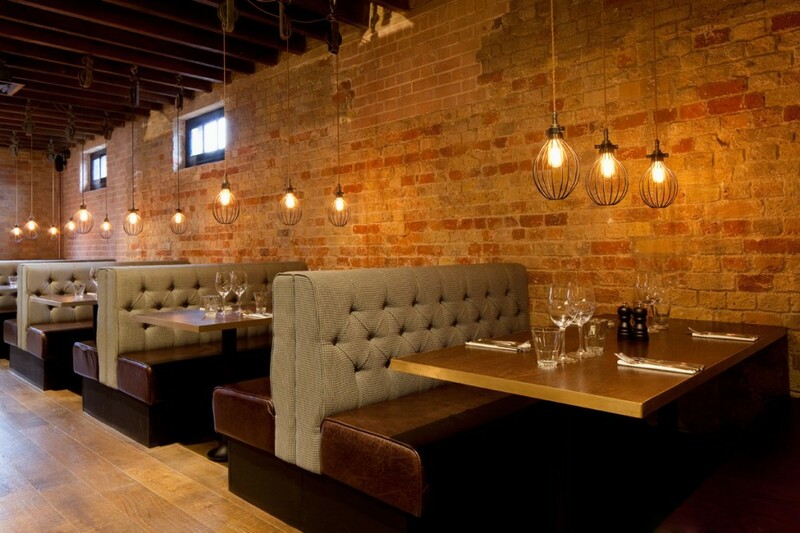 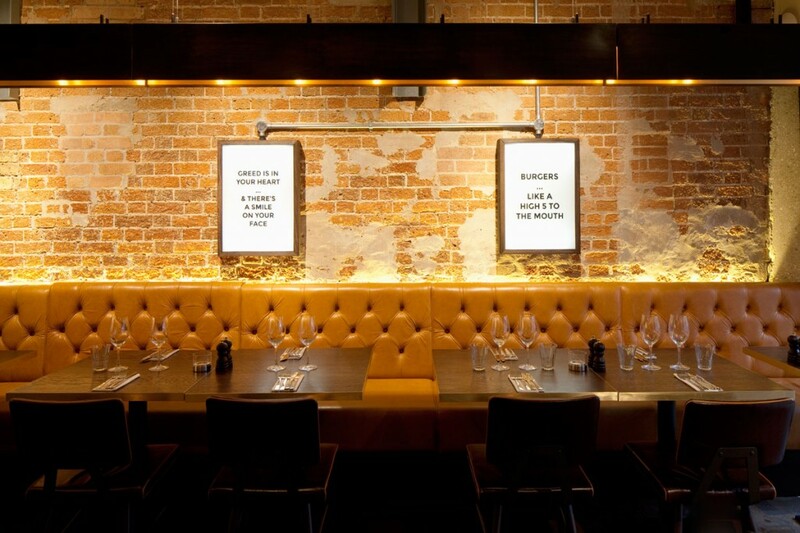 In an 18th Century former brewer’s building in Chelmsford the new Chop Bloc steak restaurant is an elegantly designed venue. 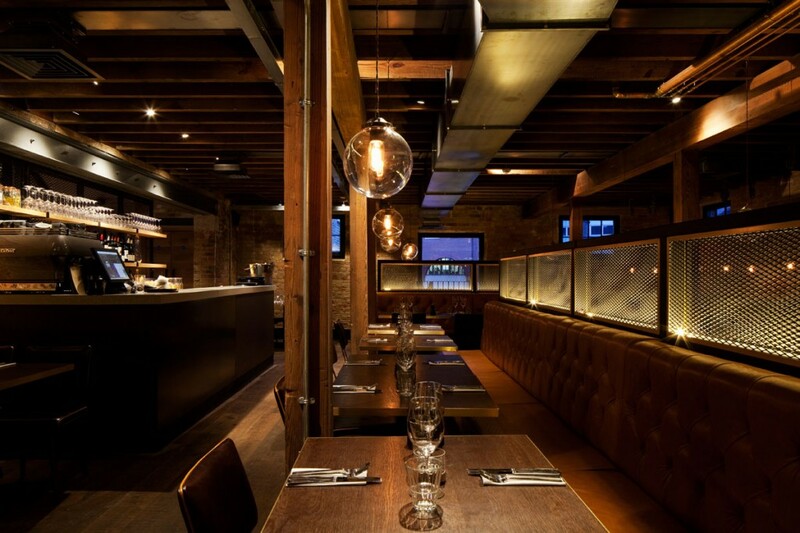 The heritage of the building inspired the interior, with exposed brick, dark wood grain and metal lattices adding character. 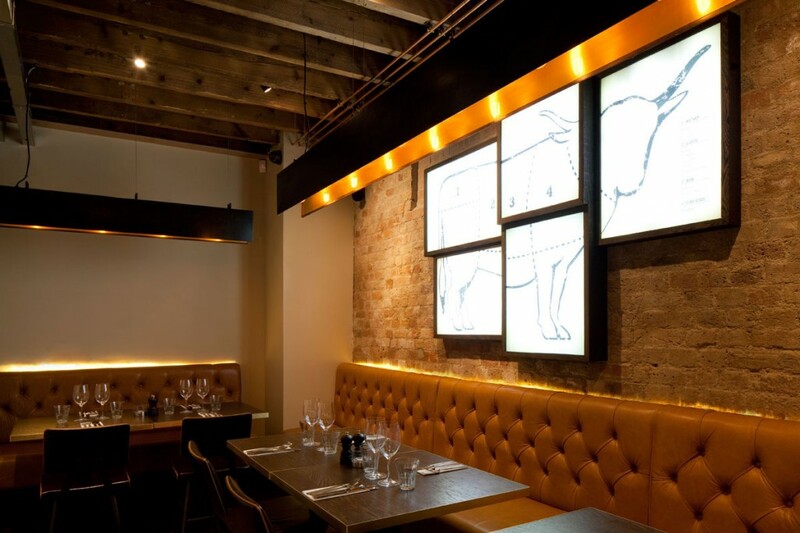 It was challenging to light the space around certain structural elements, particularly large oak ceiling beams which limited the capacity for lighting installation. 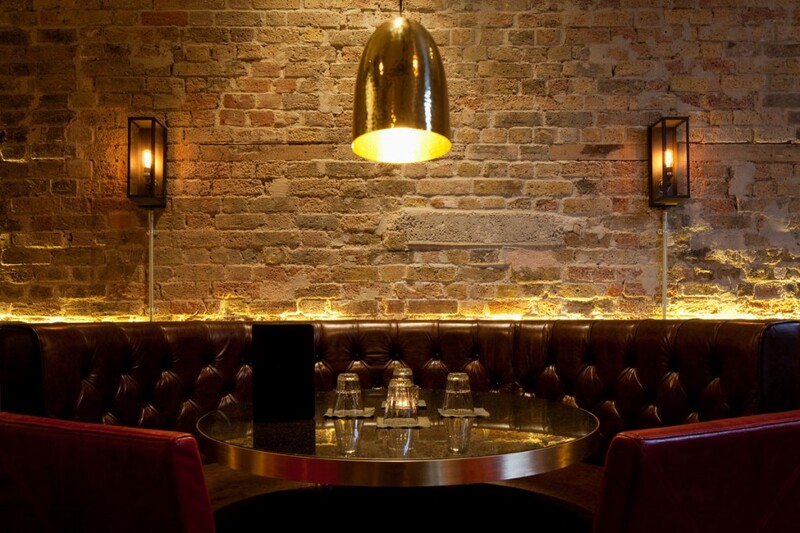 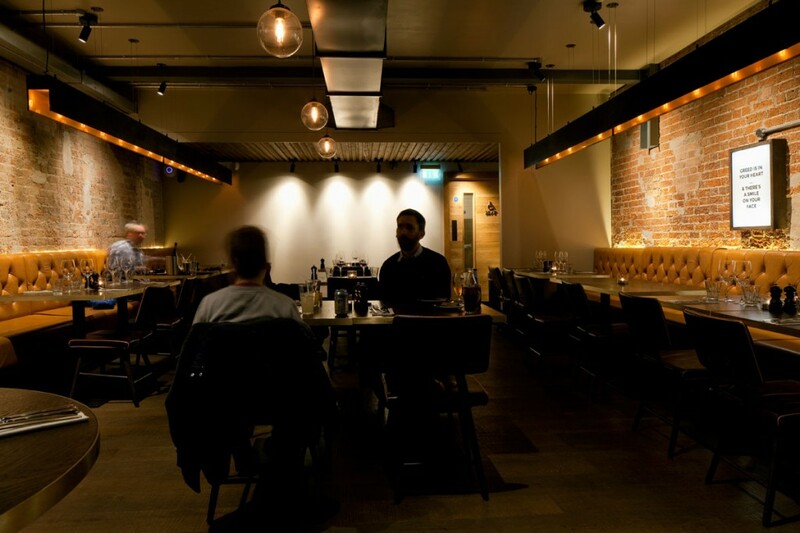 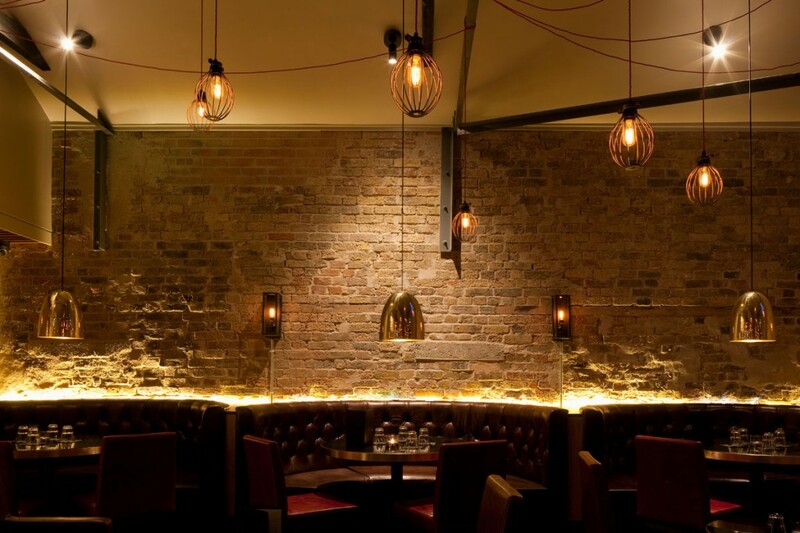 The focus then became feature lighting with key pieces bringing a sense of individuality to the restaurant and cocktail bar. 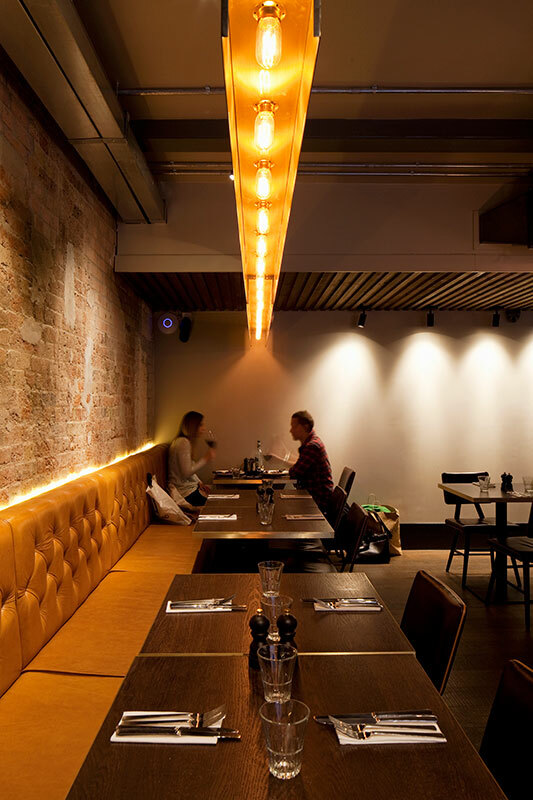 Among the specials designed by into are 2.5m long metal troughs with halogen squirrel cage lamps housed within, blackened steel frames with caged globe pendants suspended beneath, and amber glass globes with gold twisted flexes.